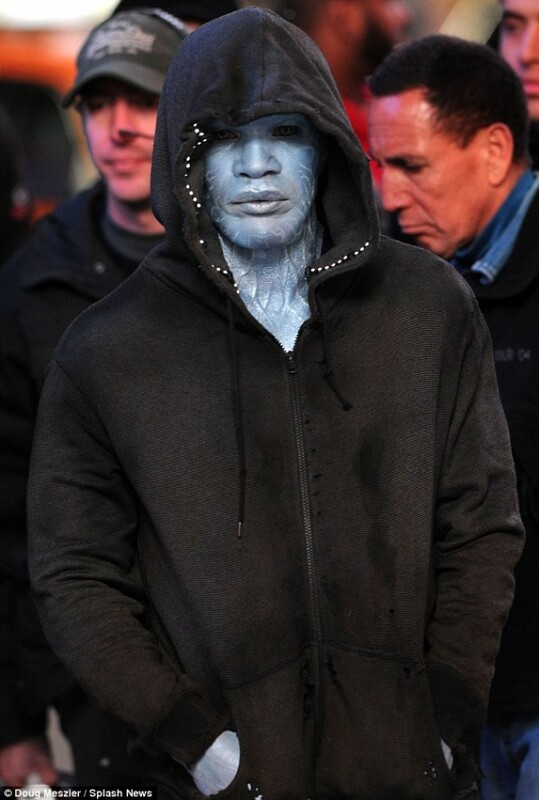 Set pics have leaked of Jamie Foxx in full costume as Electro in The Amazing Spider-Man 2. 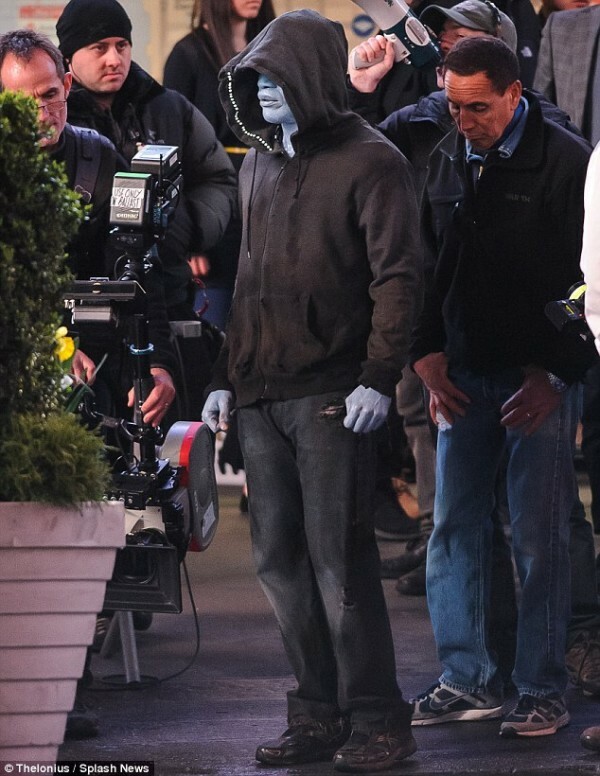 Now we aren't sure if this is his actual costume for the whole film or just for this particular scene, but at least gives us a great look at the make-up used to turn Foxx into the villain of the picture. The Amazing Spider-Man 2 hits theaters in 2014.